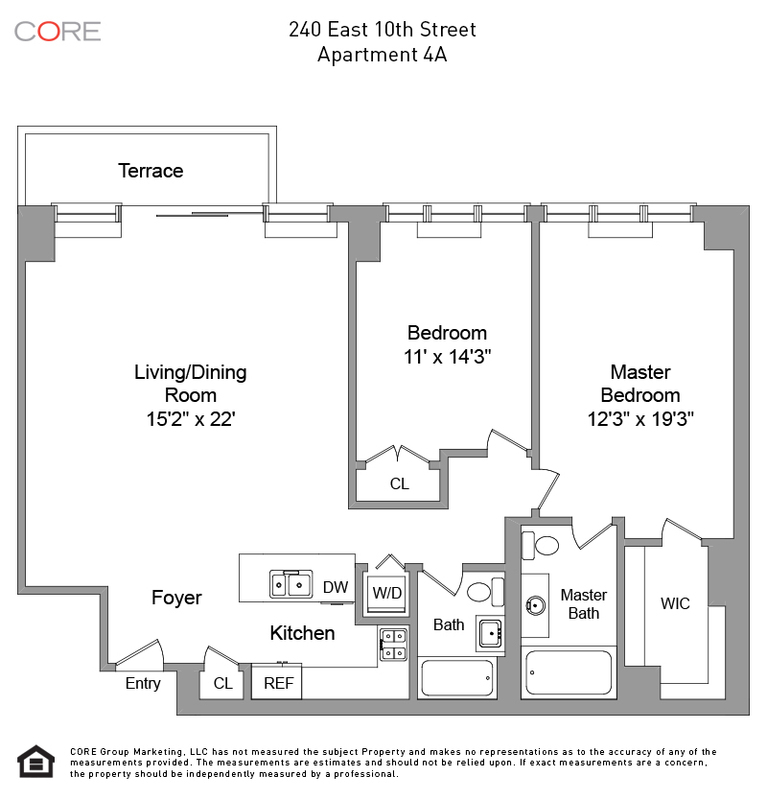 Located in a rare full-service condo building in the heart of the East Village, this spacious two-bedroom, two-bathroom home features a flexible living arrangement, with sliding doors separating the large living area from the second bedroom. Eastern facing windows line the wall of the expansive space, and a glass door leads to a charming balcony with a sunny, quintessential East Village view. 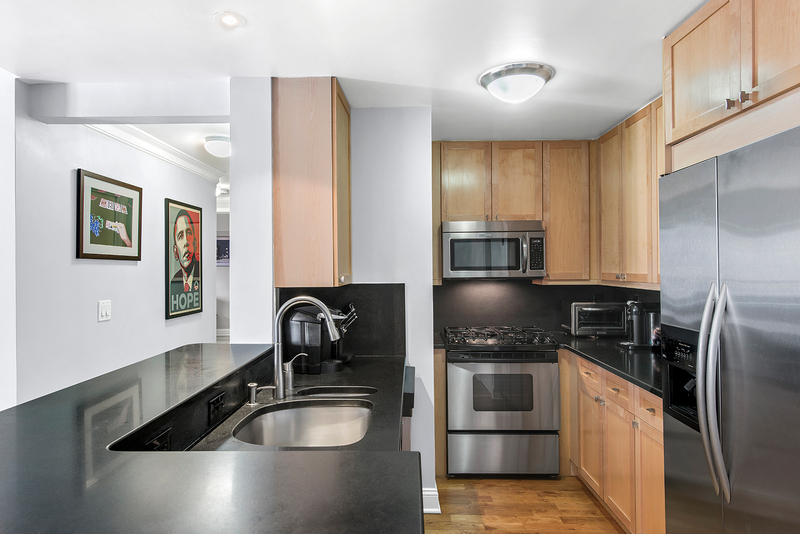 The open kitchen is equipped with a new microwave, stainless steel appliances, double-sink with garbage disposal and abundant counter space. Off the hallway leading to the master bedroom is a full bathroom and brand new, full-sized LG washer/dryer. The master bedroom also features an eastern exposure, and the windows have been recently fitted with custom pull up/pull down blinds installed throughout the apartment. An oversized, en-suite bathroom and massive walk-in closet help create the ultimate master suite.